The Drake Devonshire Blog Post re: PELC Pops! 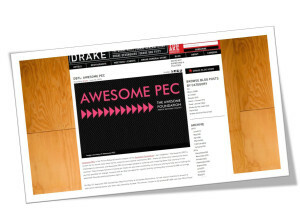 The Drake Devonshire hosted the Awesome PEC Pitch last month, where PELC Pops! was awarded the $1000. They’ve recently posted a blog post here about us! Thanks Drake by the Lake! On May 27, Awesome PEC hosted their May Pitch Party at the Drake Devonshire, for the chosen finalists to present a short pitch telling guests why their idea should be funded. The winner chosen to be granted $1,000 cash was PELC Pops! PELC Pops! is a place where students receive significant mentoring, job coaching, and support in order to learn the skills necessary to attend school and find meaningful employment. The money they were granted is going towards a commercial popcorn machine, vintage style uniforms, and packaging supplies. PELC Pops! wants to gain exposure to events and festivals across the county by selling popcorn at fall fairs, Taste Community Grown, Pumpkinfest, and the Firelight Lantern Festival. We were lucky to get a chance to chat with Lori Farrington, PELC classroom instructor! What made you come up with the PELC Pops! idea? My friends Dave and Helen at County Cupboard have an organic lemonade stand that they run at a couple of events, maybe 5 times a year. They do it for fun because they love the County and want to be a part of the ‘festival scene’, which is very vibrant here in PEC. In a very healthy way, I was jealous of their set up. They could choose to do an event or not. Everything fit into their car: a table, an industrial lemon press, simple syrup, lemons and cups. It gave them a chance to be a part of the community of people who sell their wares from under a tent. But clearly, lemonade was cornered. So, I looked around at other food items that could have a fairly uncomplicated set up. Popcorn came to mind. The flip side of the story is that through the years we’ve tried to find unique ways to encourage students to volunteer in the community, attend events and get to know people. When you’re a young person with no employment or volunteer experience and you have a high level of social anxiety, it’s really hard to take that first step. We decided that we needed to be that step, and we needed a portable training site. The Awesome PEC grant had another call for proposals out, and everything just fell into place. This popcorn machine I’d wanted would be a great way to train students in excellent customer service, cash handling and essentially everything that is involved in running a small business or in this case, a social enterprise. How long did it take your team to develop the idea? Once I realized that the popcorn cart was a good idea to pitch to the Awesome PEC foundation, everything fell into place pretty fast. I loved the look of the vintage red popcorn machines and I have a theatre background, so costumes and sets make sense to me. I love the old ‘soda jerk’ look with the diner hat, bow tie and apron. We figured that if we were going to do this, we should do it with flair because there are a lot of great food trucks, restaurants and stands out there. We knew that selling commercial packaged popcorn would sell because people just love popcorn, but I wanted to up the ‘foodie ante’ and offer a County product. Vicki and Tim of Vicki’s Veggies have always been super supportive of PELC and when I asked them if they’d be willing to work with me to create a popcorn dash, they immediately said yes. Around the time I was writing the initial proposal, I saw that Sunnydale Farms in Waupoos was growing and selling the popcorn kernals. It really felt like it was meant to be. I contact Jocelyn at Sunnydale and she quickly agreed to work with us. We wanted to add to the great festival family that exists here, not just be the “sympathetic literacy group selling popcorn” because that’s not at all what we want to be. It’s wonderful to be able to work with the community. Everyone benefits from a program like this and our students have a lot to offer. They just need a little guidance and mentoring to shine, and that’s what we’re hoping to accomplish. How did you find out about Awesome PEC? What was the process of applying for Awesome PEC like? Were there certain steps that you needed to do? What was the timeline like? The process is a pretty simple one really. It’s not meant to be onerous or stressful. There’s an online application where you answer some basic questions like tell us about your project, how will you use the money, tell us about yourself, etc. The applications are read by the trustees and are narrowed down to a few that they are invited to the Pitch Party. You have 3-5 minutes to pitch your awesome idea, followed by questions. At the end, the trustees meet in private to discuss and come to a consensus. The winner is announced and handed an envelope with $1000 that night. It’s pretty exciting! What are the future plans of PELC Pops!? Right now we are in the process of buying all the necessary equipment. Once those buying decisions are made and it arrives, you’ll start to see us at festivals and events. Our students are pretty excited to get going. Winning the grant has been really exciting for them, since they were involved in the planning and the pitch. Do you think you will engage with other types of activities/services additional to the popcorn stand? We are currently running a Hospitality Plus program that is designed to engage and train young people to work in the hospitality industry, a big employer in PEC. There are all kinds of synergies. Students may find new products to retail or promote at festivals and events. Maybe we’ll have a food truck one day! What is your favourite thing about PEC? It’s a small, connected, creative community where there is a strong belief that anything is possible. Apply for your very own grant from Awesome PEC here! The next deadline is August 1, 2015. Grants can be used for any type of project that benefits the County!